Guillem Balague has explained just what Newcastle did to make sure Miguel Almiron was the right man for the job, revealing that the Magpies scouted their man for over 18 months. The former Atlanta United star replaced Michael Owen as the club's most expensive transfer when the midfielder completed his move on deadline day, finally snapping the top flight's longest run without breaking a club transfer record. The man from Paraguay was scouted for almost a year and a half before Newcastle decided to make their move, with the Spanish journalist explaining just what the Magpies' new man will bring to the Toon. Balague told 5Live (via the Daily Star): "Creativity isn't it? Miguel Almiron is somebody they've monitored for 18 months. They've been to see him, they've been seeing videos, they've been seeing games, MLS games, so they know everything about him. They're impressed with the quality of what he does with the ball." He continued, saying: "Certainly, Rafa insists that the difference between the Premier League and others is pace. Pace in decision making, how you run but also how you decide quickly." 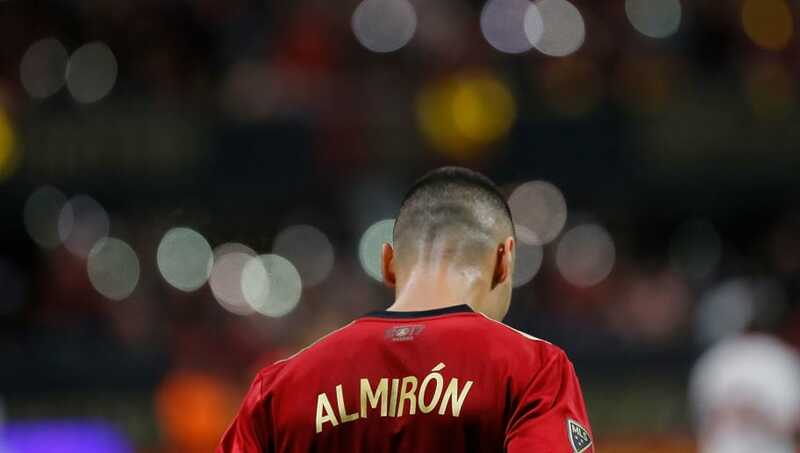 Benitez told Sky Sports this week that he wants the focus around Almiron to be about his talent rather than his transfer fee, saying: "Obviously the offensive players are more expensive. We've been talking about a No.10 for a while and it's a position that, if you bring in someone, it has to be expensive. "But the main thing for me is forget about the money, are we happy with Almiron? Hopefully we will be happy. He has the potential, pace, work rate and ability to help the team and do something that we didn't have before."